This photo of H.R., lead singer of Bad Brains, smoking weed with a supposed Brooke Shields has been circling the internet like crazy the last couple of days. Although it would be incredible if this really happened, I’m sorry to say I’m 99.9% sure that isn’t really Brooke Shields. Which is too bad because it would have been the best picture ever if it was. However, don’t be too let down, Brooke actually has some strong punk rock roots. 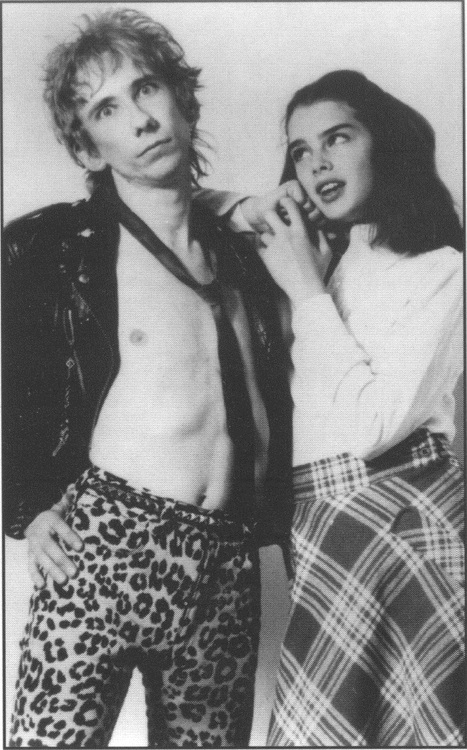 First off, Brooke did have an actual photo shoot with punk originator Stiv Bators, lead singer of the Dead Boys. The above interview from Efrom Allen’s Underground TV was taken during the photo shoot with Stiv Bators. It aired on Manhattan Cable’s public access channel in the 1970s. The 12-year-old Brooke Shields actually gets a little flirty with the American punk rock innovator.